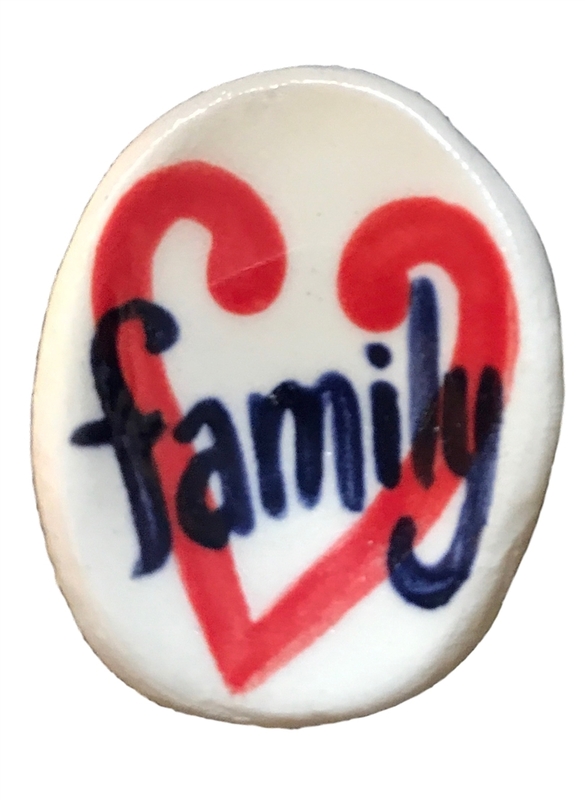 This individually hand-crafted Family Reunion Stone is made of durable glazed pottery which can last a lifetime. At about 1.5 inches, it is sized to fit in a pocket, blessing bowl, or a faith chest. Purchase one or more to gift to others as a meaningful reminder of this special moment. This stone complements the Family Reunion Milestone Moment. A family reunion is a wonderful time to reflect on past generations and the lives of those who have gone before. This Family Reunion stone for gifting provides a remembrance of the occasion and the excitement of family members traveling side-by-side into the future with the encouragement that the Christian faith has brought and continues to bring them.